In Excel if you type any text within double quotes, it displays properly (like "John Donlee"), but in case of single quotes, it displays without the leading single quote. So if you type 'John Donlee', it displays John Donlee' as in the image below. What you need, is to customize your cell format. 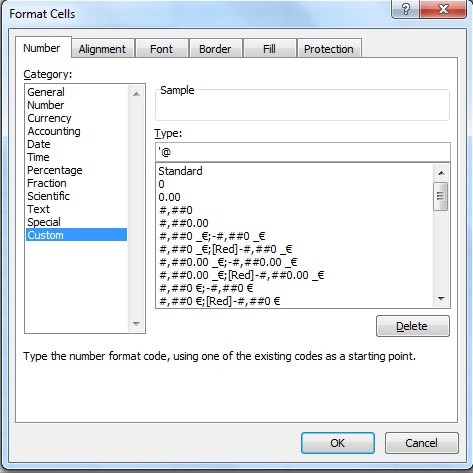 Format Cells window opens. Here from under Category click on Custom. Under Type: enter '@ > click OK.
Now type anything using the single quotes, it will display your entries properly. In case, if you need a whole colum full of entries within single quotes, then right click on the column heading, go to Format cells... and do customise as above.